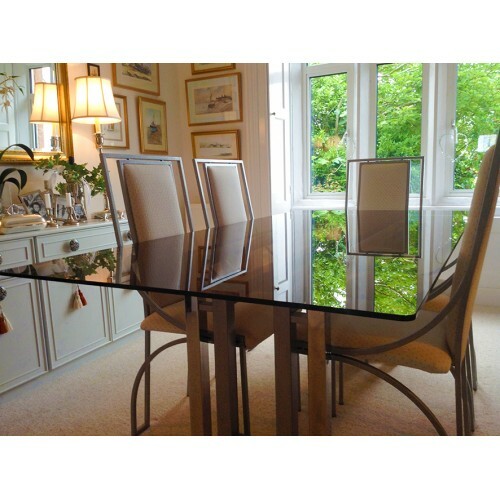 Bronze Tint Glass table tops are made to measure using toughened glass as standard, for safety. Simply add your desired dimensions and the glass thickness you require. If you are unsure how thick your table top should be, just let us know and we can advise on the best thickness. Bronze Tinted Float Glass 200mm x 200mm Polished edge Un-toughened glass sample Ava..